Race the Train takes place alongside as far as practicable the route taken by the Talyllyn Railway on its journey to Abergynolwyn and back. In order to do this all courses use a mixture of public roads, lanes, un-metalled roads, tracks, agricultural land, and rough grazing pastures. The terrain varies all the time and can be very wet & muddy in places, the routes also ascend and descend quite steep terrain and runs on narrow footpaths with little chance of overtaking. 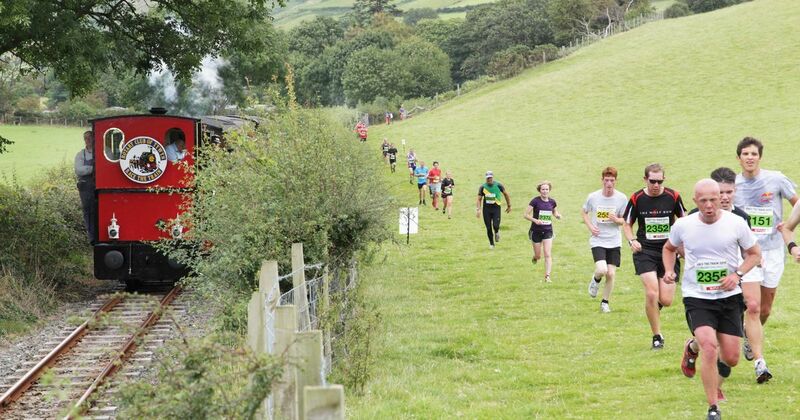 Often the Train, or for many runners the track, is just over the fence and in many places if you coincide with the train your family friends, if they are on the train, will be able to shout encouragement to you. A lot of the course is across private land only open for the race so pre & post race inspection of the courses is not possible. 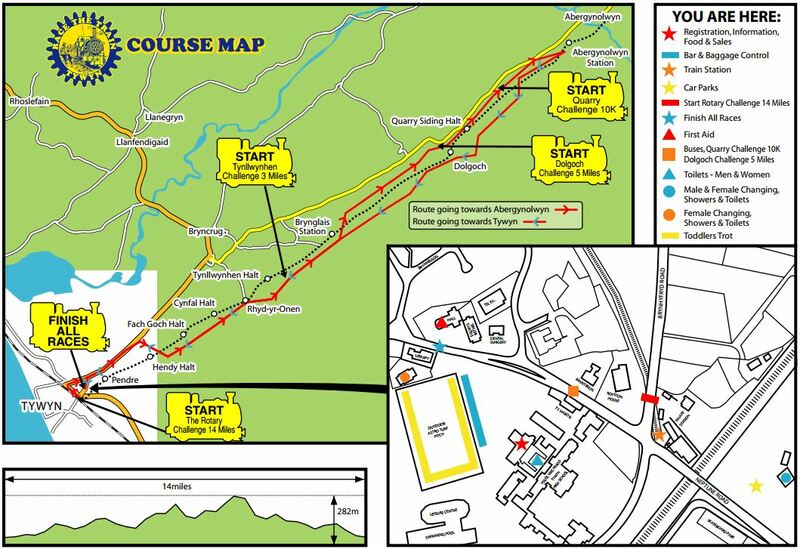 All courses are marshalled, well signed, and provided with refreshment / water points along the way. There are members of the Red Cross, Qualified Nursing Staff, & Medical cover over the course. Raynet (Amateur Radio) co-ordinates services should any problems arise. In the afternoon for the main race we normally also have an Ambulance on standby. Remember it is your legal duty to assist any runner with serious problems. You will see that all the races are designated as having approximate distances. This is because we have to alter the course slightly almost every year often in the last few days before the race to accommodate local conditions. These variations are often only slight but invalidate any official measurements of the courses. Usually they tend to balance out and the distance remains virtually the same. All activities are centered on the local school sports ground adjacent to Talyllyn Railway Wharf Station. On race day the route to the field is properly signed, and since we are only a small town impossible to miss. Once on the field you will find registration, changing rooms with showers etc. Other facilities include; refreshments, bar, children's amusements, and various displays by the Police, Fire Service, Coast Guards, Outward Bound, Snowdonia National Park, etc. Spectators can enjoy watching the races by traveling on the Race trains, but the capacity is, of course, limited. 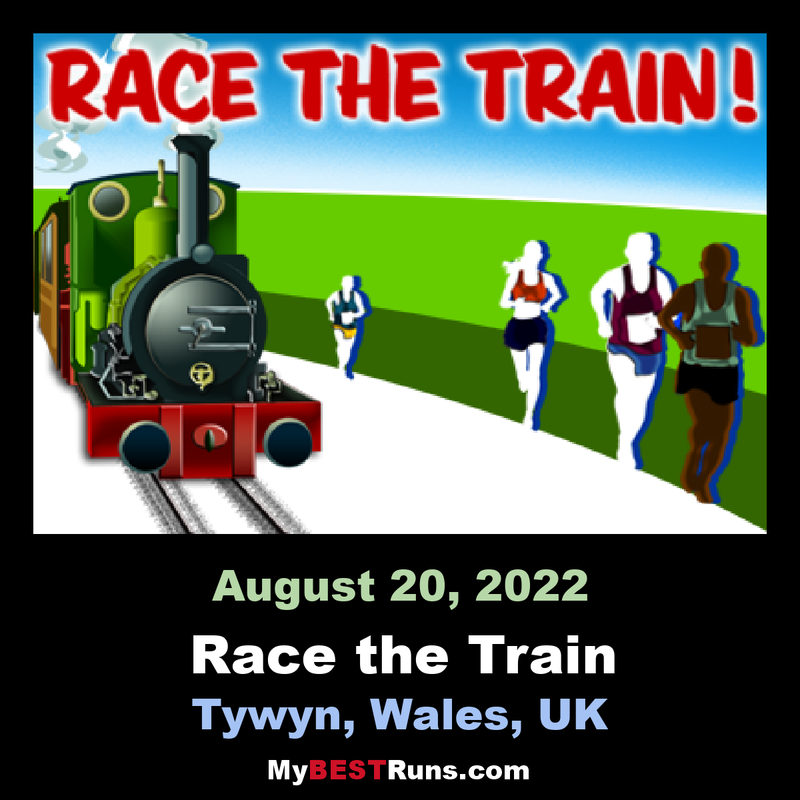 For the main races we run a second train as soon as legally allowed after the race train and it may be that if you are a slower runner your family / friends would have a better chance of seeing you from this train. I must stress that the courses are run over private land except for approximately the first and last miles, which are on public roads. Because this land is in use and we run the races with the permission and co-operation of the farmers who own it.The course must not be used at any other time. failure to comply with this request could result in cancellation of future events. It is also for this reason that we do not publish in advance a map of the course, but you will find a general one displayed in the information tent and in the program.